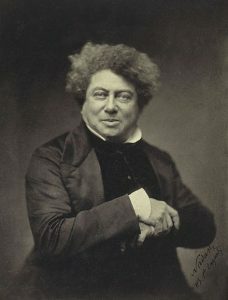 I took my time machine back to 1843 and the town of Seine-Maritime, France to visit my buddy, the author, Alexandre Dumas. Alexandre nodded and sighed with relief, and began scratching out the superfluous names with his quill. Luckily he carried a 5-gallon inkwell with him wherever he went.